You all know I am a bit partial to picturebooks about books and reading, whether they are metafictive or not, so here is a selection of new titles just in time for World Book Day! 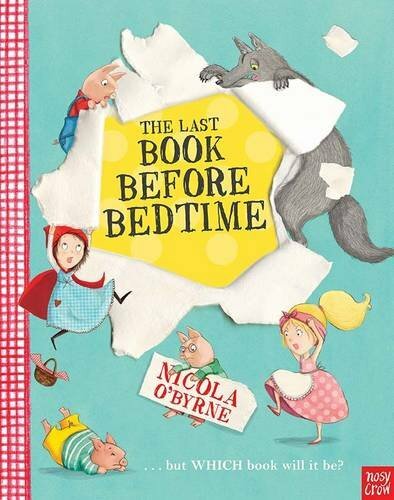 Nicola O’Byrne’s third picturebook for Nosy Crow is another joyous metafictive offering in which traditional fairy-tales fight it off to be the heroes of the last book read before bedtime. Because everyone knows it is the best story of all! The book design is very clever, with the ‘regular’ story in traditional narrative style while the metafictive elements which barge into the narrative are represented as discourse between the fairy tales characters in the shape of coloured speech bubbles. This is a clever multi-layered tale which plays with fairy tale conventions beautifully, and has a wonderfully fun and positive ending too. It is sure to become a bedtime favourite. Sophie wants one more story, but when dad suggets Princess Pink Kitten, Sophie wants something a bit more exciting so she decides to “embellish” Pink Kitten’s story slightly, by including lions, rocket launchers, robot dinosaurs and light sabers! 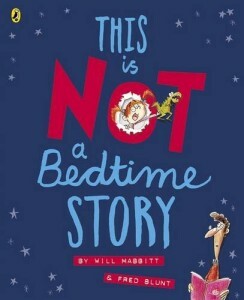 This is such a fun metafictive story, which similarly to The Last Book Before Bedtime uses specific devices to show both narratives alongside each other. Here, as well as coloured speech bubbles, the pages of the book they are reading is visible on each double-spread, in a book-within-book style, allowing younger readers to follow both narratives very easily. There is so much to celebrate about this book: father and daughter creating a story together, Sophie not wanting the cutesy pink story, the fact that not only it is the dad who is reading but that he is also seen clearly exhausted after the bedtime story. That honesty is not only fun, it is also very touching. A really great book! 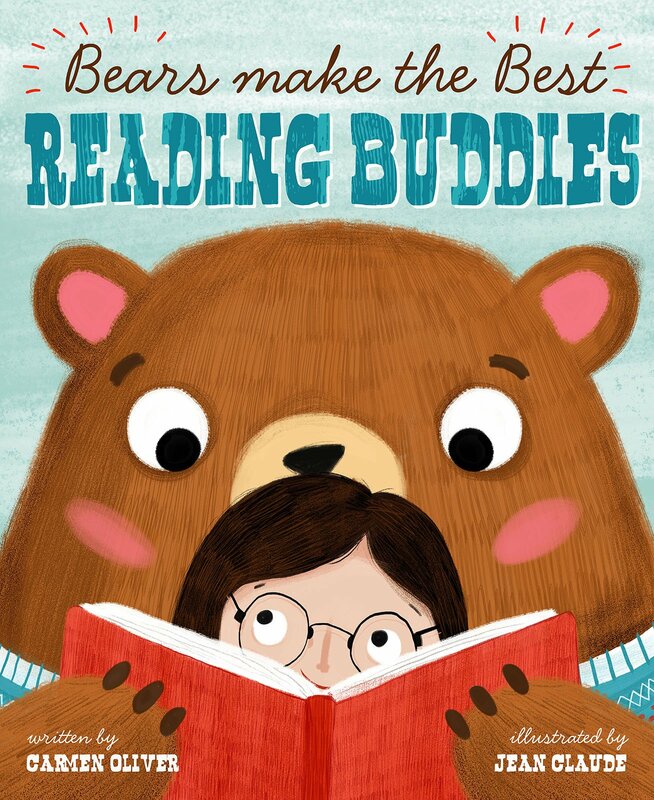 When Adelaide’s teacher assigns reading buddies, Adelaide claims she doesn’t need one, because she already has a favourite reading buddy: a bear! They make the best reading buddies, didn’t you know? They sniff out good books, they don’t let you run away from tricky words, and their paws are perfect for turning pages. 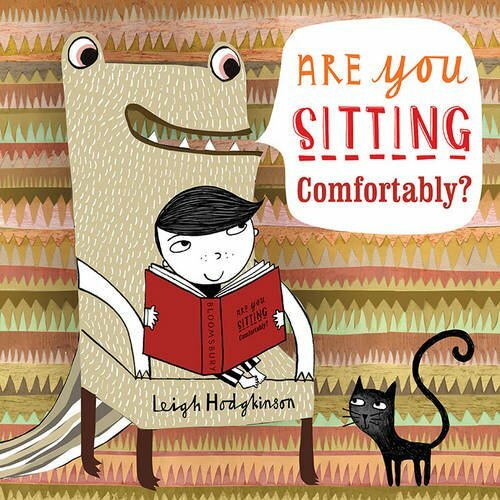 This a great little book to introduce the idea of mentoring and reading buddies in school, which might be useful for school age children who might be anxious about learning to read. It showcases shared reading within a school environment as fun and warm, which is more unusual in such books when positive images of reading often happen solely within the home. Baxter loves books, books about all sorts of things, and what he would like best of all is to be IN a book. So when he notices a Storybook audition, he jumps at the chance. But is he Storybook material? Told in first person, which is always quite unusual in a picturebook, this is a lovely story which goes beyond just the love of books, with a touching message about trying to be oneself and finding it hard to find out one’s place in the world. 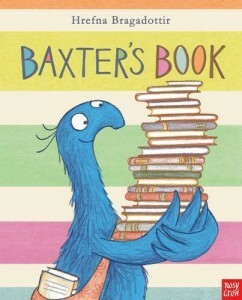 The clever use of traditional storybook characters and their stereotypical behaviour help emphasise Baxter’s, who is an unusual creature, lack of place in the world, or so he thinks. The gentle message that being oneself really is the only way is conveyed well and the soft colours used emphasise the positive and comforting feel of the book. Sometimes it is really difficult to find the perfect place to sit and get lost in a good book, as the little boy in this story is finding out. Nowhere is quite right: too buzz-buzzy, too cold, too high! As he goes about looking for the perfect location he acquires a following of furry and hairy companions. Eventually however, he gets it:” a book is best anywhere, a book is best when you share”. Each double-spread showcases a different setting which lend themselves to potential stories and Leigh Hodgkinson’s pattern filled collage illustrations ooze style while always remaining utter child-friendly. Definitely one to pore over again and again. Source: review copies from publisher.